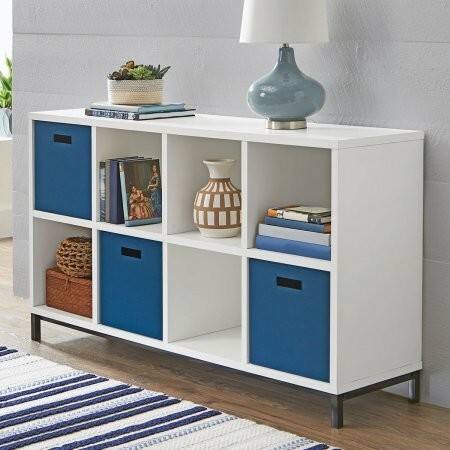 Display books, curios, plants, family photos and other knick-knacks with this stylish and versatile Better Homes and Gardens 8-Cube Storage Organizer with Metal Base! 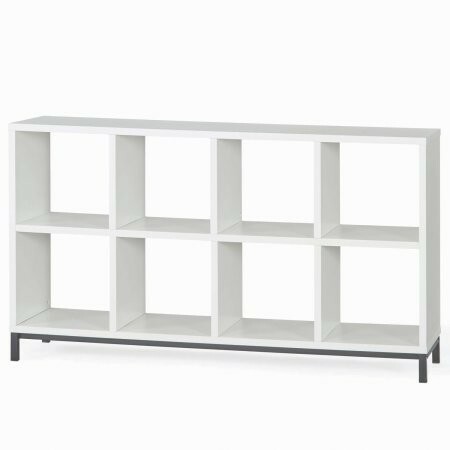 It is constructed of sturdy MDF and particle board and features eight separate square openings. 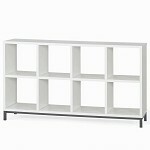 The metal base adds a modern touch of elegance. With it's sleek modular design, this cube storage organizer can be used in almost any room in the home!